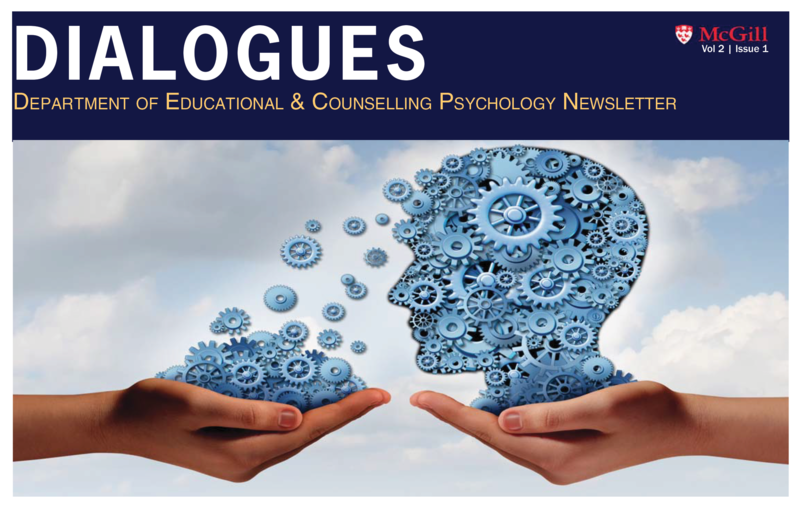 The Department of Educational and Counselling Psychology (ECP) programs and research examine the interplay between complex human systems (cognitive, social, emotional, behavioural, and biological) to maximize: (a) learning, (b) wellness (mental and physical), and (c) human development in multiple settings and throughout the lifespan. Learn More. The McGill Psychoeducational and Counselling Clinic is a teaching and training unit of the Department of Educational and Counselling Psychology. Through its training activities, the clinic provides low-cost psychological services to people seeking both counselling and psychoeducational assessments. Learn More. Our department addresses cognition and development in typical and atypical populations across the lifespan. Broadly speaking researchers examine issues pertaining to assessment and intervention, cognitive processes and developmental neuroscience, and the design and evaluation of learning environments and instructional practices. Learn More. Founded in 1821, McGill University is one of Canada's leading research-intensive universities, with students from over 160 countries. Located centrally in the vibrant city of Montreal, a city widely known as socially diverse, cosmopolitan, and bilingual (French/English) with a wealth of culture. Learn more about studying in Montreal. The Department of Educational and Counselling Psychology offers a variety of graduate, professional development, and undergraduate programs and courses. Visit Programs & Courses to explore our offerings. On behalf of my colleagues and our administrative staff, I welcome you to explore the many activities and programs in our department. We remain committed to the advancement of scientific knowledge through research and practice in education and psychology. Recent advances in our understanding and knowledge of human behaviour and development have broad implications for education, development across the lifespan, and our professional programs in school/applied child psychology and counselling psychology. Whether you are an undergraduate or graduate student, our many course offerings and programs will help develop and enhance your knowledge and skills. Under the "I want to support" section, simply choose "Other" and list "ECP" in the comment box provided. Feel free to specify a particular ECP research lab or ECP Professor in the comment box.